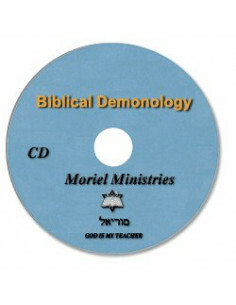 Seeks to correct much of what is wrong with contemporary Christian thinking on the subject of demonology. A synopsis of how the deranged thinking in Jeremiah's day takes place in the church in the Last Days. Originally given at the 2010 Winnipeg Prophecy Conference. Dealing with the typology of the book of Esther as an application for God's preparation for ministry in the Christian life. This is a message that deals with the parable of the ten virgins. The saga of Moses and what it means for the life of a believer today. This teaching deals with the fourteen End Time warnings made by Jesus found in Matthew 24, Luke 21, and Mark 13. Hosea 1 & 2 in light of Revelation 2. Explores conceptually the difference between the sons of light and the sons of darkness through the lens of Scripture.